Enhance your home and reflect your personality. Make your daily routine a pleasure. 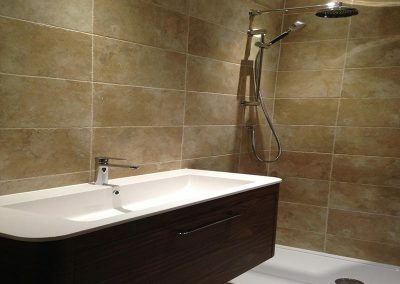 K & B Innovations can supply and/or install your new bathroom. Our solid relationships and trade accounts with local suppliers, manufacturers and distributors means all styles and designs can be catered for. Whether it’s a simple refit or major makeover, we can help design and plan the new installation and products. An installation doesn’t have to mean weeks without a working bathroom, all areas will be quoted for and completed under my guidance. As our name suggests, bathrooms were not the original business focus. However as customers requested further supplementary household work, we have now extended our service offering to attend to a range of individual requirements. 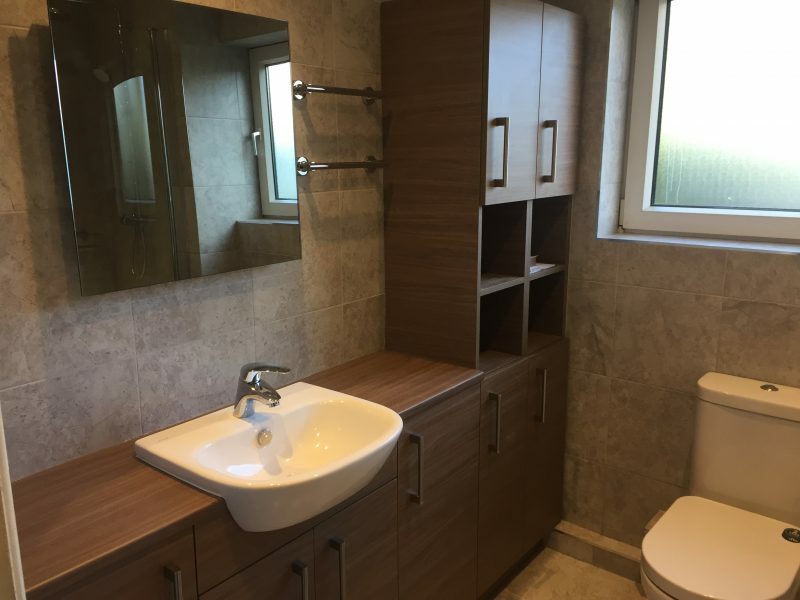 We can install vanity units along with the bathroom suite. I have even been involved in the installation of disabled facilities, which have been built specifically to suit my client needs. 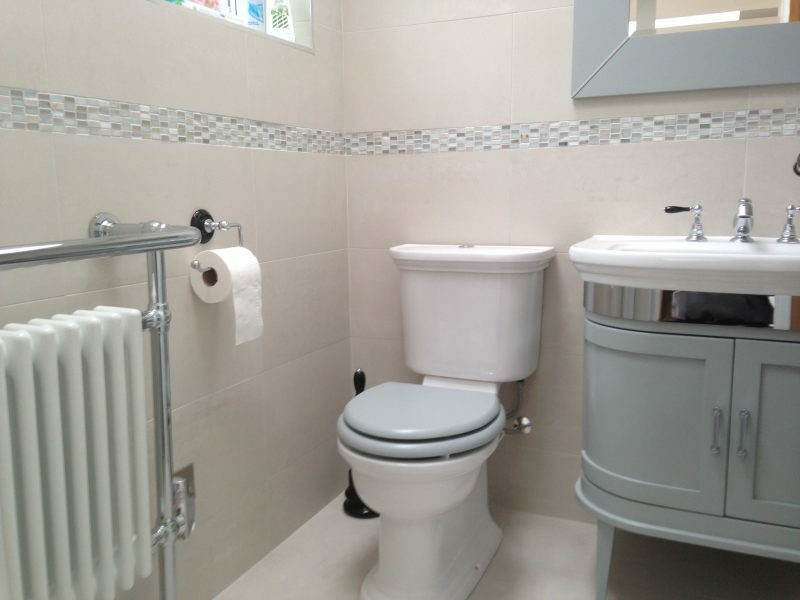 If you already have a great bathroom suite that fits your needs but the tiles are looking tired and worn, we can replace accordingly to make the room look fresh and new. 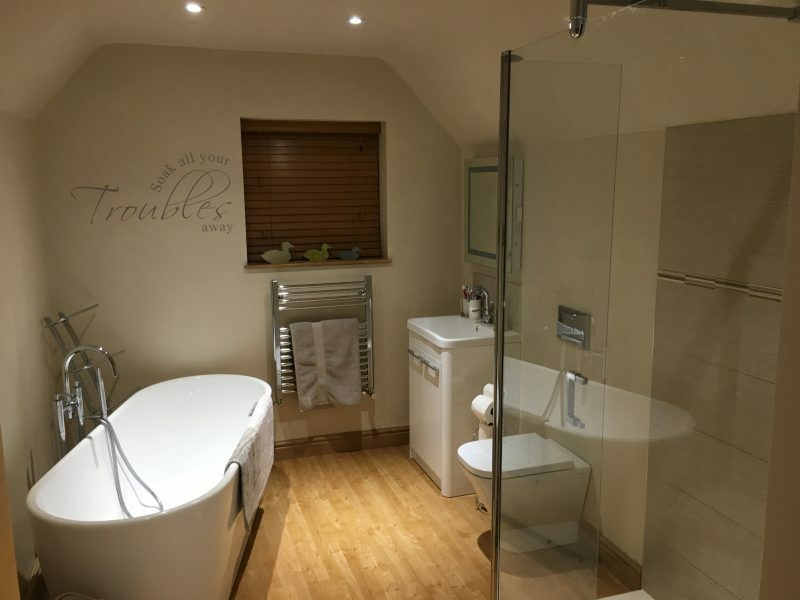 K&B Innovations are an Evesham-based, family run, independent kitchen, bathroom and bedroom design and installation service. K&B offer a friendly and personal service, helping you transform a house into your ideal home.